Quite some time ago, I paper pieced this little piece and it has been lying around in a drawer ever since. A few days ago, I quilted it and made it into a pillow so one less of many UFO's. This would make a very pretty large quilt. So here's what has me preoccupied now - the batik daisies. Two blocks are done except for the yellow centers. 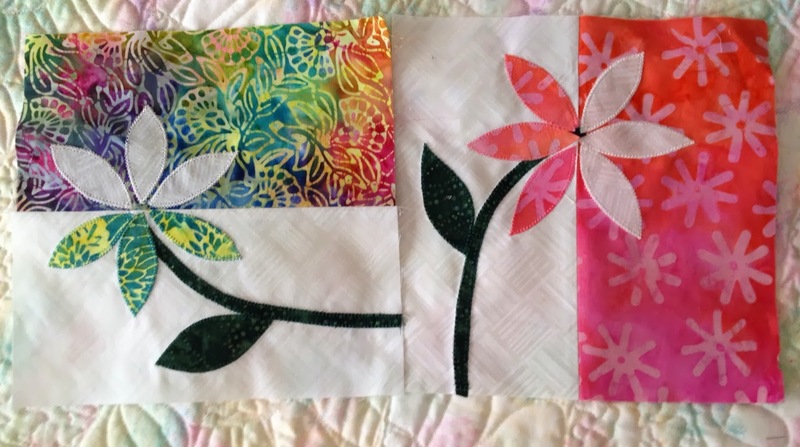 I have most of the blocks sewn and am ready to cut out the stems, leaves and flowers. Lots of cutting but this old paper doll girl is a master at that! The worst part is tracing all of the sixty-four stems, leaves and all the flower petals. Stems and leaves are traced and I will make a stencil of the flower petal so that will go quickly. The daisy centers are easy with my circle template - if I can find it!! It's down there in the jumble of batiks someplace!! Just added three new pictures of my little great grandkiddies on my sidebar. Facetimed with Henry and Lauren last night at Sherry's. That is so fun to see and hear them! Three cheers for this wonderful world of technology. Annie wasn't available - she was with her parents on an outing. Talked to Hannah, too. Very cool what you can do on a telephone!!!! 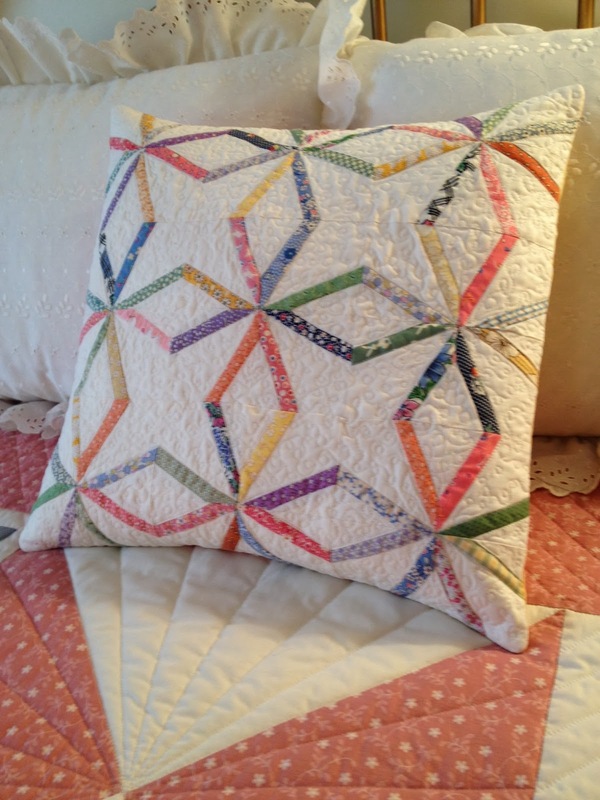 Your little paper pieced project is beautiful! 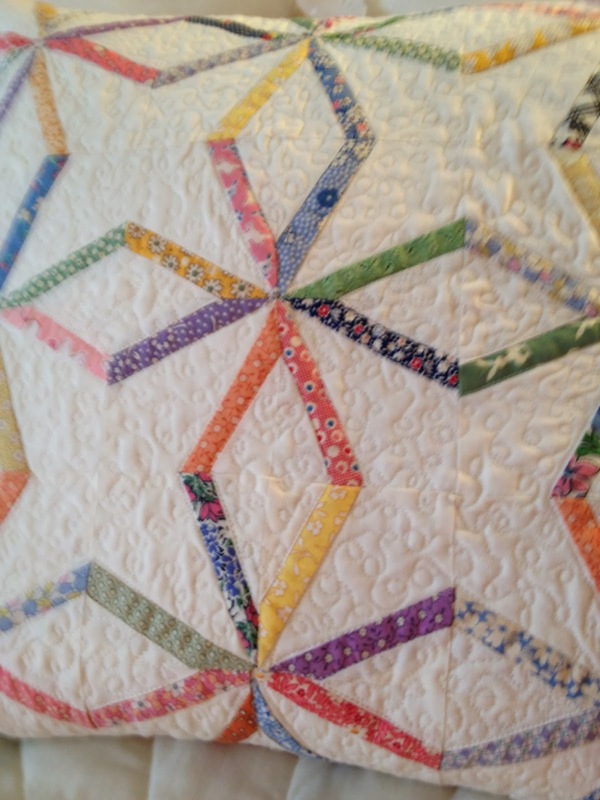 And I do agree, it would make such a wonderful springtime quilt. Love today's quote too! I really like your cushion and I think the idea of the daisies has lots of possibilities. Very nice! 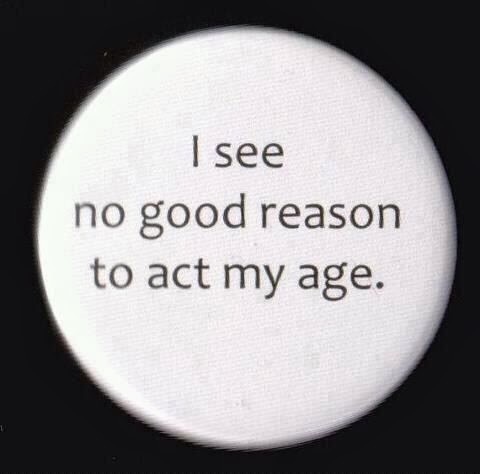 I too see no reason for you to act your age!!! !